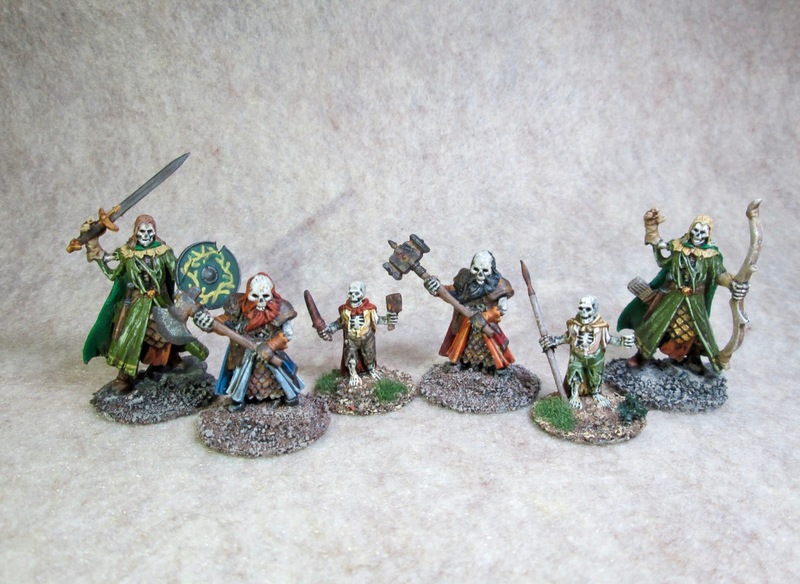 Undying Lords: Elves, Dwarves, and Halflings Group Photo | H.A.W.K.S. 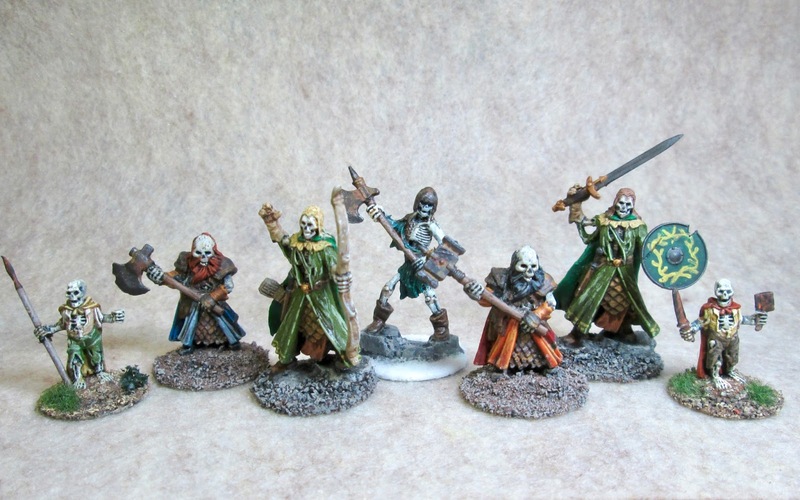 Last week when I posted my completed Halfling Rogues from the Bones 3 Undying Lord set, one of my readers suggested that I post a group photo of all three of the Undying Lords pairs I had painted these past three weeks: Halflings, Dwarves, and Elves. I thought it was a great idea, so here it is. This gives you a better idea of the comparitve size of the three types of figures. I also thought to take a group shot with one of the Human skeletons from the Bones 2 Shambling Dead set to give an idea of how they stack up against a regular man-sized figure.